WBI is tracking closely experiences of the Vallecitos 9, former employees of a spiritual New Mexico retreat subjected to years of bullying at the hands of co-founder Grove Burnett. 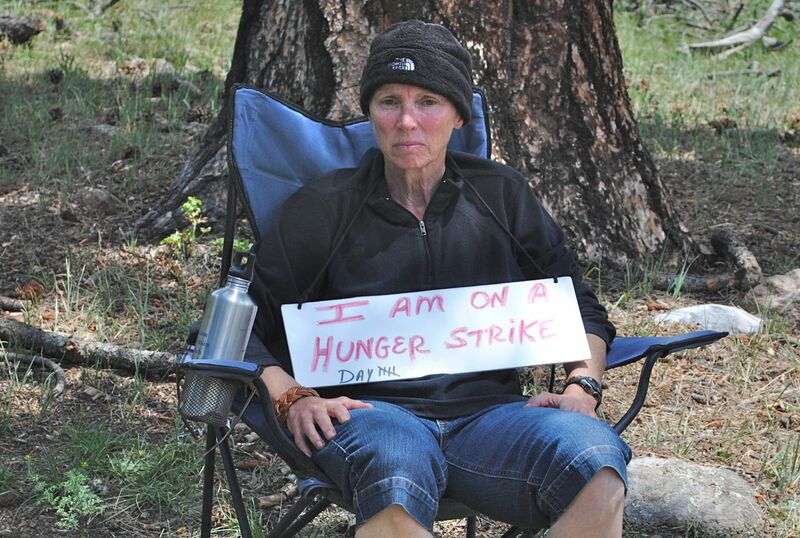 One worker, Mary Reed, staged a 7-day hunger strike as protest. Those displaced employees now call for a neutral investigation of their charges. Please help by signing their change.org petition. This entry was posted on Tuesday, August 13th, 2013 at 10:48 am and is filed under Hear Ye! Hear Ye! 2. You can follow any responses to this entry through the RSS 2.0 feed. You can leave a response, or trackback from your own site. For those of you who read this blog and don’t know me personally, I’d like to take a moment here and state that my spirituality is my “ground.” I am a non-denominational pagan, which, in the old sense of the word, means I’m from the countryside, and find my solace and deeper meaning in what surrounds me in nature. It is not a glamorous undertaking…and is often full of sadness as I see the loss of so much health and beauty in the world. That doesn’t stop me from being passionate about being an agent of change, in both my own and others’ lives. We really do have so much power to make a difference, and often so little confidence in our selves, or in our path (if we even believe we are on one). A major reason I moved to northern New Mexico was the deep connection to the land I experienced the first time I looked out the window at the Lama Foundation dome. That was 25 years ago…and I am still learning what it means to “see.” I have been connected to Lama over the years, and have many friendships that originated there via workshops and retreats. A week ago I ran into one of those friends, and heard a story that deeply saddened me, about workplace bullying. She has firsthand experience of what is to follow. I told her I would put this on my blog in honor of all those service workers (and I did my time in this arena) that have put up with bullying, and now, are speaking out about their experience. When the weapons of fear and intimidation used in my spiritual workplace became powerfully wounding, the best defense I could think of was powerful love. This idea nearly cost me my life, and what’s more, it didn’t work. Yet. Grove Burnett, the lawyer and Buddhist dharma teacher who co-founded the spiritual retreat center Vallecitos Mountain Ranch, is known to have trouble consistently practicing the “mindful speech” he teaches. I and the other eight staff who abruptly left Vallecitos July 13 – that’s nine of ten employees – refer to this trouble as workplace bullying. In an environment intended to foster peace, the irony of this term cuts deep. The professed compassion-based values of Vallecitos belie a cruel history of profane tirades and demoralizing personal attacks that have long been hushed in insider circles. In 2004, a brave board of directors tried to remove Burnett but failed after mediation by a Council of Elders that included Burnett’s longtime friends and teachers, Jack Kornfield and Joseph Goldstein, founders of Spirit Rock and Insight Meditation Society, respectively. In the ten years since, the path of emotional, psychological and economic injury has been long and tragic. In November 2012, Vallecitos staff and volunteers voiced their concerns unequivocally through anonymous surveys on workplace quality of life. Across the board responses were damning. They included terms like “unsafe workplace” and “hostile work environment” and specifically named Burnett as the reason. Current board members – eight hand-picked friends of Burnett’s – reacted to these survey results in the same way they reacted to the numerous emails and face-to-face meetings requesting help to stop the abuse: they took no action at all. 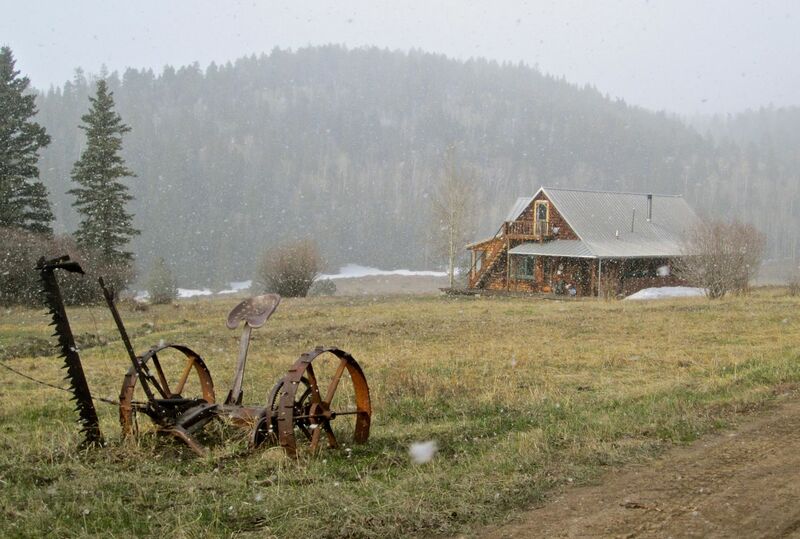 Things finally came to a head in July when Burnett was returning from a sabbatical and the executive director (15 years at Vallecitos), the widely adored ranch manager (17 years at Vallecitos) and I said we would resign if Burnett was allowed to return. We could no longer accept the board continuing to force staff and volunteers to be subjected to bullying. The board responded by firing all three of us on the spot. This prompted the immediate resignation of all other staff save for one newly hired cook. The next day I set up camp outside the gates of the ranch and began a hunger strike; it was the greatest act of love I could think of. Besides the fact that nothing says “I love all beings” quite like starving to death to end some measure of their suffering, I wanted to bring attention to the severity of the abuse without resorting to the loveless tactics of lawsuits and retaliations. Every day I sat alone by the side of a muddy mountain road and focused peacefully on love. I envisioned the unraveling of the thread of destruction and pain now tightly woven through the lives of so many people sincerely dedicated to compassionate awakening. I envisioned Vallecitos free of the relentless energy of conflict and deception. I envisioned love replacing all fear, not just for the victims and witnesses of abuse but for Burnett and the entire board of directors. On day five of my hunger strike, medics were called in and reported I was within hours of certain death. I have chronic hypoglycemia, so by then my blood sugar was critically low and my vital signs were bleak. The medics shouted angrily at me insisting I be taken to the hospital. “There’s no bully in the world worth losing your life over!” As I signed the form refusing to be taken away, I said, “My death would not be for the bully. It would be to try to stop the very real suffering he causes others.” With all my heart, my love for all beings was and still is this committed. While I was on the hunger strike, other former staff were reaching out for help in the community. As responses began to come in, no one expected what began to happen next: healing. Victims as well as witnesses who had silently watched the abuse began to talk of their long-held secrets of shame and trauma. Former board members, staff and longtime friends of Burnett’s came forward with their difficult personal stories, and in doing so uncovered old wounds of guilt and grief and let the balm of compassionate dialogue begin to soothe their pain. I had bet my life that love was the best option left to try to end years of suffering, and this opening for healing was a small measure of unexpected validation. But it was much smaller in scope than I had hoped. In the call for love to stop a “spiritual” man in a position of power from abusing workers, only one nationally recognized leader engaged victims in dialogue and took action. The response from other leaders, most notably Jack Kornfield and Joseph Goldstein, was decisively neither urgent nor expressive of concern for past or future victims. Instead, without responding to a single victim or witness, Kornfield, Goldstein and eight fellow teachers wrote a public letter attesting to Burnett’s character and integrity, and dismissed all accusations entirely as hearsay. This stunning lack of willingness to engage victims is eerily reminiscent of the famous closed-door strategies to keep hushed the abuse within the Catholic Church – strategies that ended in suicides, scandal and widespread mistrust of leaders. Must it take headlines of scandal and suicide to raise genuine concern about a spiritual teacher’s bullying and the complicit tolerance of this kind of abuse within the compassion-professing Buddhist community? Are our leaders, too, so focused on defending one of their own or so shielded by power that they dare not engage “lesser” people than teachers? Surely I am not alone in believing that actions of love for all are called for in this important matter, not the same denial, indifference and fear that foster and further suffering. Surely well documented reports of bullying in a spiritual workplace are compelling enough hypocrisy to warrant love. Surely years of job losses, depression, betrayal of sacred trust and crushed dignity among dedicated peacemakers is enough hardship to warrant love. Surely courage to tell difficult truths openly is enough risk to warrant love. Is it not? I and the other eight people who gave up our livelihoods – jobs we treasured – to stop this abuse say resolutely: yes. I survived seven days before stopping my hunger strike. By then my former colleagues were exhausted from stress and worry, and Burnett and the board had begun a smear campaign to discredit accusers, making false claims of harassment, financial mismanagement and rampant mental illness. In the wake of this added layer of humiliation my death would have made my former colleagues feel far more defeated than rallied. But I honestly wonder if I did the right thing in stopping. In this situation, starving to death for love seems both an appropriate metaphor and an appropriately strong message. My only remaining hope is that others realize there has been enough starving for love now. Past and future victims of a dharma teacher’s bullying need the nourishment of authentic metta, and this is my plea for leaders within the Buddhist community to step up and begin compassionately dishing it out. I bow respectfully in love to all of you here and beg you: engage with all parties. Get all the facts. And together let us finally break this cycle of human suffering.